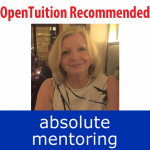 GillianM – OBU Registered Mentor 6 months ago. 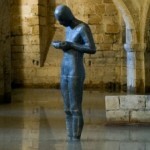 ( An explanation of your overall research approach. This should provide the reader with an understanding of the overall framework that you developed to meet your project objectives and answer your research questions.). here i basically wrote how i will do my project say setting my project goals and then searching information relevant to my project objectives and stating that they all will be referenced where appropriate in the report . Yes that should be fine. When discussing, models business techniques and information gathering be sure to include their limitations. Part A talks about project objective s and overall research approach and part b talks about information gathering and business model s used and limitations which I have explained in my research report .In part A I explained my reason s for choosing the company and the topic .I moved on to set my project objectives .In explaining the overall research approach I wrote that I would first set down my project objectives and I would find only information relevant to the project objective s set. I moved on to describe the entire process stating that I will begin with my financial analysis and for this I will refer to the information in the annual report that includes the chairman and CEO report and management commentary. Then I stated that for business performance I will use Porter five forces to describe how the company responds to the competition in the industrial environment. For this I will look in the in the articles in the media and the annual report which will be referenced in the report and appendix. Then I stated that i will use pestel analysis to understand the macroeconomic environment the company operates for this I will use the news articles and information generated from from other reports to supplement my analysis . Then I will compare the company performance with comparator using key ratios and other information available. I wrote this all in my report at length.Is this correct what I have written for my explaination for my underlying research report in part A as required by the obu information pack ? PLEASE ma’am help me !! Well you need to ensure you have sufficient words (4,500-5000) for Part 3 as your evaluation and analysis section needs to go into adequate depth. I suggest that you revisit Patrs 1 & 2 and trim out a lot of unnecessary detail.